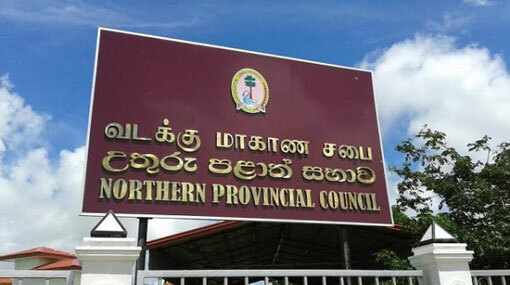 Tamil National Alliance (TNA) provincial councilmen of Northern Province have requested the Chairman of the provincial council, C. V. K. Sivagnanam to hold a debate over the government’s alleged forceful establishment of Sinhalese settlements in the Mullaitivu District. They request that, at the next council meeting scheduled on the 26th April, the council should come to an agreement on the matter after deliberating on the proposals submitted to the council. TNA Provincial councilor representing Mullaitivu T. Raviharan states that the councilmen should hold a debate on the matter and relay the final decision to the government. And in case the government’s response is not compatible with theirs, they should continue to object to the government, says the PC member. According to him, many lands in Mullaitivu district are brought under the Mahaweli Project and their ownerships are later given to the Sinhalese. A group of TNA members have already held discussions regarding the matter with the President and the Prime Minister, said Raviharan. However, the issue has not yet been resolved. A new fishing village for 500 fishing families from South, named “Maya Pura”, is to be established in the Mullaitivu district, claims the councilor. According to the information collected by a group of TNA members, the Sri Sambodhi Viharaya of Kokilai, Mullaitivu has also been built in an illegally acquired land. TNA should take steps to stop all these incidents with immediate effect, said the councilor.